India regular skipper Virat Kohli and Bollywood actress Anushka Sharma were back giving travel goals. India regular skipper Virat Kohli and Bollywood actress Anushka Sharma were back giving travel goals. 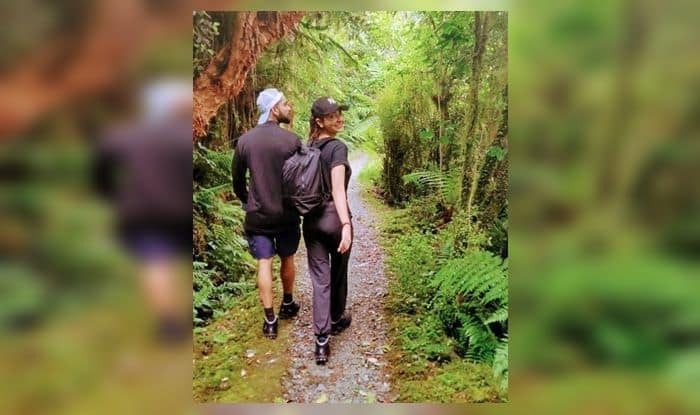 The most sought-after couple was seen in the forests of New Zealand making the most of their downtime. Kohli, who was part of the ODI team for the first three ODIs was rested by BCCI for the remainder of the series and the upcoming T20Is, citing excessive cricket as the Indian captain had been playing non-stop cricket in the recent past. Anushka has been seen on many occasions rooting for her husband at cricket venues. She was in Australia where the team created history and then in New Zealand. In the absence of Kohli, Rohit Sharma will be leading the team in the upcoming three-match T20I series. Earlier, India outplayed the Kiwis 4-1 in the ODI series and will start outright favourites when they lock horns with the Blackcaps in the shortest version. Meanwhile, Rohit Sharma-led India will have a chance to equal Pakistan’s record in T20Is when they lock horns with the Blackcaps in the upcoming three-match T20I series. India, who have won 10 T20I series on the trot have a record of joining Pakistan (11) with another series win. They would in the process equal the world record. After the convincing 4-1 win in the ODI series and with the momentum with the blues, they could surely equal the coveted record. In their past 10 T20I bilateral series, India has won 8 and have drawn 2. Their last loss came against the Windies in a one-off T20I series in 2017.